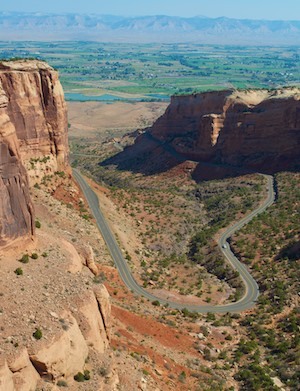 Colorado National Monument & Fruita CO – Red Rocks, Cycling & Wine! 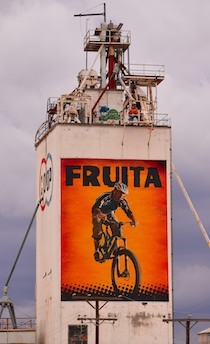 Mid-September, 2012 – We dropped south from Dinosaur National Monument to Fuita, Colorado, where we found a huge billboard of a mountain biker catching air on the side of an industrial building. How cool! We had heard from friends that this area was mountain biking and road cycling heaven, and so it was! 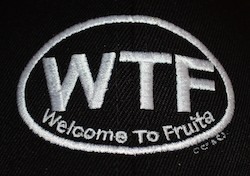 Fruita lies to the west of its much bigger neighbor, Grand Junction. Paved bike paths weave along the edge of the Colorado River, which flows alongside by these towns, and we enjoyed several rides in the area. Paved bike paths weave along the river. Four hours later we’d made it through only half of the park! What a stunningly beautiful drive. It is loaded with gorgeous viewpoints and short hikes, and we found it impossible to drive straight through without stopping every few minutes. We came back the next day to try to see the rest of it, and after another four hours still hadn’t seen it all. 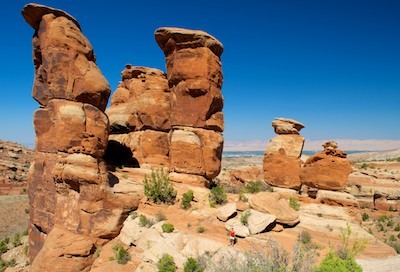 The road twists and turns along the edges of the canyon, poking out onto peninsula-like points and winding back around valleys, offering ever-changing views of red rock formations. One of the most impressive pinnacles is Independence Monument, a 450 foot tall monolith that dominates the center of the valley. As we scrambled along the wonderful flat rock shelves that make up the Canyon Rim and Window Rock hiking trails, we kept hearing voices from the valley below us. We couldn’t tell exactly where they were coming from for the longest time, but then suddenly a group of people appeared on the top of the spire. 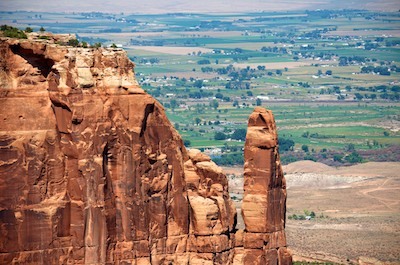 Independence Monument is a tall skinny rock, and the tiny figures ambled around on top, peering over the edges. Suddenly they threw a rope over the side and started rappelling down. 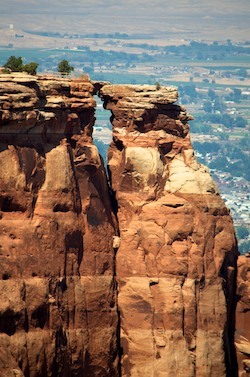 Now this is not just a straight sided cliff. There is a huge rock overhang at the peak, and each climber dangled for a few moments on the rope, bumping his way down until he got his footing on the rock below. Yikes. 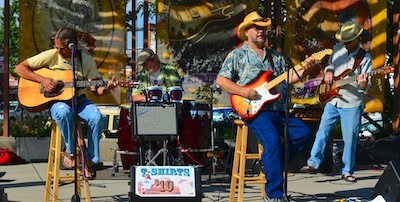 We were glad to have lots of solid footing all around us on all sides! We learned later that every Fourth of July local climbers scale this peak and plant a huge American flag on the summit of the spire. The first climber to scramble up that sheer rock wall was John Otto, and today’s most popular route to the top is the one he took in the early 1900’s. 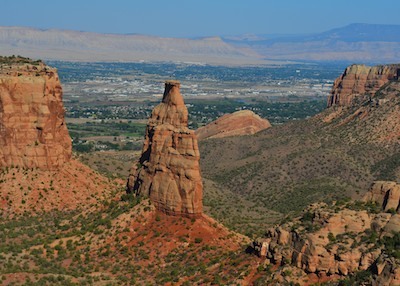 He loved this canyon and wanted it to be preserved for future generations, and he campaigned tirelessly for the creation of the Colorado National Monument. 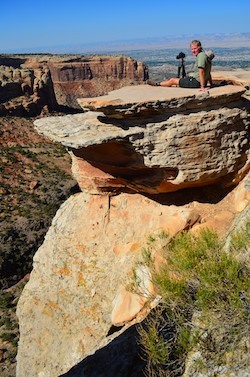 Devils Kitchen – for scale, see my red shirt!! It was finally established in 1911. Not only did he oversee construction of Rim Rock Drive, which was initially called the Serpents Trail with 52 switchbacks in just four miles, but while he was the park’s first custodian he created many of the hiking trails that are still enjoyed in the park today. Even more intriguing than the official park history, however, was the bizarre history we found engraved in the stones at Cold Shivers Point. As we walked towards the edge of this spectacular overlook, stepping across nature’s broad, unevenly spaced patio stones, we looked down and saw each one was etched with all kinds of names, initials, and dates. The dates ranged as far back as the early 1930’s, and included every decade to the current year. Some names were big, some small, some were in pairs with a plus sign, and others were surrounded by hearts. 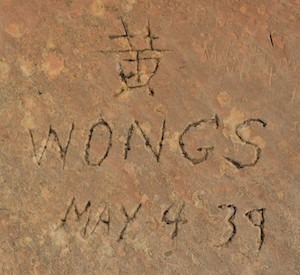 The Wongs had included a Chinese character, and “R.A.S” had pecked his/her initials out like a woodpecker in 1938. This was a lover’s lane of sorts, and we found out later it has also been used as something of a lover’s leap too. Back down in the valley of Fruita we discovered this area is rich farmland. The farmer’s market had some of the most wonderful fruits and vegetables we have sampled anywhere. The apples were tiny but crisp and bursting with flavor, the cucumbers tasted heavenly — who would think a cucumber could taste heavenly? — and the melon stand had a line of people around it slurping noisily. “We don’t have to go to Green River to get good melons,” an old fellow said to me, wiping his chin. We knew what he meant. We’d been to Utah’s Green River during the melon festival years ago, but these melons were every bit as delicious. A lady selling alpacas and their wool kept the kids occupied for hours. 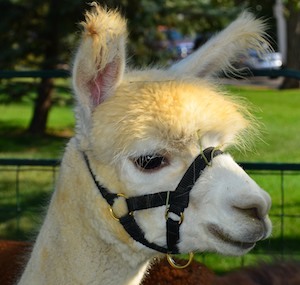 These friendly, gentle animals made sweet humming noises as the kids hung over the fence and petted their thick fur. They are relatives of camels, she told us, but they’re so much cuter! This is also wine country, and on the other side of Grand Junction the small town of Palisade is home to lots of vintners. 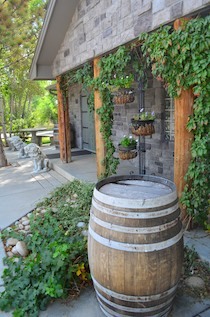 We drove the wine route and sampled some delicious wines. 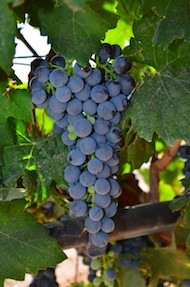 The port wine from Graystone Winery was my favorite, while Mark fell for a white wine early on in our tour. But by the end neither of us could remember which one it was!! In late September we often go to the Interbike trade show in Las Vegas to check out the latest bicycles and cycling gear. 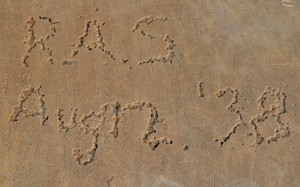 This year, however, we opted to attend a photography workshop in Colorado instead. We did get a tiny whiff of bike stuff, though. 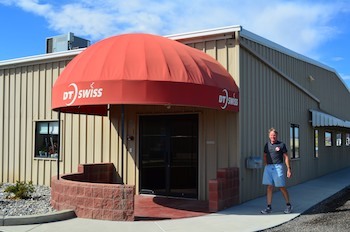 A friend of ours builds bicycle wheels at DT Swiss in Grand Junction, and we got a peek at the shop. Spokes were flying off the production line and the truing stands were whirring at this small, high end bicycle wheel manufacturer. Soon the photo workshop day arrived, and we made our way to Ridgway, Colorado, where the leaves were in the absolute peak of color. What a majestic place that turned out to be!! 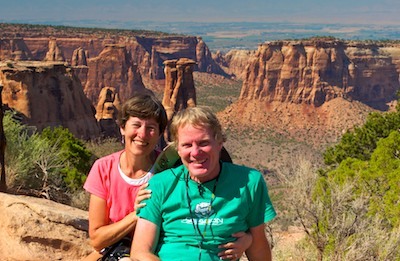 This entry was posted in Colorado and tagged Colorado, National Parks US, Travel, USA, WP Travel by Roads Less Traveled. Bookmark the permalink.